What do Nike, Apple, Geico, Google, JACK and other such business giants have in common? BIG PERSONALITY! Ever stop to think that brand identity isn’t everything – especially in today’s virtual world where buzz, tweets, blogs, FaceBook and texts often speak more about your company than paid advertising? These marketing greats demonstrate a personal mission tied to their professional message – which gives them unlimited confidence to shout their business from the rooftops. Through a very specific and consistently strong personality, they generate great flexibility in how they connect their message to relevant news and current events almost daily. With BIG personalities always on display, these colorful companies crusade for their niche market: be it innovation, customer service, entertainment, luxury, fitness, or quality. Expression of their mission is paramount to a “simple” marketing approach or concrete strategy. 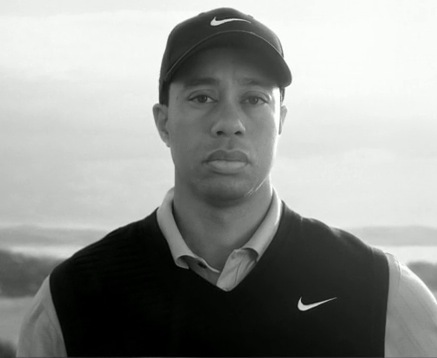 Nike aired a TV commercial on April 7, 2010, featuring Tiger and the voice of his late father, Earl Woods, an edgy move that calls out his personal problems on the eve of his return to competitive golf. The ad aired on ESPN and the Golf Channel just one day before the start of the Masters. If you buy into this personality quotient, but don’t currently have it, how do you get it? Is it possible to create such an “intangible” without flopping? Let’s face it, this is risky business and takes careful top-down consideration. Look at your company mission statement. Does it give you plenty of adjectives to work with? Does it give you room to be bold and a little self-important? Does it give you permission to be top dog in your industry? How about your overall marketing strategy? Print ads, TV, radio, brochures, business cards, etc. What do these print pieces convey about your company’s personality, or lack of? Have you asked any outsiders lately? You might be surprised. Decide as a team whether this is a path worth taking and if so, don’t look back! Commitment is critical here. Learn from Nike and be ready to persevere. If you’re not interested in the spotlight or not quite ready for such heavy media attention, get there. If you’re there and ready – then jump in. Be educated, be ready for the good and the bad, bring the passion and deliver an engaging business personality that the masses will remember! Brand Control – Who’s Really In Charge? As a marketer from the pre-blog era, this question seems ridiculously easy to answer… and once upon a time it was. Now, not so much. Not in a time when blogs, discussion boards, email group lists, Facebook, Twitter, and all other such tools create an open, ongoing forum for your product or service to be honestly and candidly discussed. In fact, the assertion, “your brand is no longer yours” is truer than some PR and marketing types want to admit. Reality is, however, that viral and social media outlets just might be saying more about your company than you are – positively or negatively. To those who spend a healthy share of time and money on branding, this concept might just cause a little heartburn. Perhaps it’s time to face this issue and make the conscience decision to choose the path most taken. Face it; working tirelessly at reclaiming control over your brand probably isn’t working anyway. Why not focus instead on something that you CAN control – quality of product or service, and all other forms of your marketing package, such as: print collateral, advertisements, promotional goods, and so forth. Marketing your real estate doesn’t have to be hard. Lucky for you, we are providing some inspiration here for you to help get the creative juices flowing. Using high quality graphic design elements, alittle creativity, and quality and professional commercial printing, you can create a winning real estate marketing campaign. Below are some quick tips to help you get started, before you hire a design or start sketching yourself. 1. Find Out Who You Are Marketing To. Are you looking to market yourself as the Home Town Neighborhood Agent or the Upscale Property Expert? Do you want to target First Time Buyers or Premium Commercial Clients? Answering who your target market is will help determine how to market and how to build your brand. Your marketing brand will include flyers, postcards, informational packets, brochures, CD and DVD’s and other marketing material. 2. Be You and Not Like Everyone Else. Many agents use the same formula when creating their Real Estate Marketing material. Call it “mediocrity in three parts.” The first part is the agent’s photo, the second part is the carbon-copy message, and the third part is the “call today for a no-obligation consultation.” Seriously. Give your potential clients something unique. Just make sure that you are staying true to step #1 and knowing your market. 3. “I can save a little money and do it all myself”… Wait! Don’t do that. Creating a brand requires professional help. Consult a local graphic designer and commercial printer to handle what they do best…making high quality marketing materials. Take alook at some of the examples of creative printed brochures, postcards and other marketing materials from the real estate industry as well as others and use it for inspiration on how you can market to your potential clients. Contact Prisma Graphic and let us help you, with our network of graphic designers, come up with a Real Estate Brand Marketing Package for you.